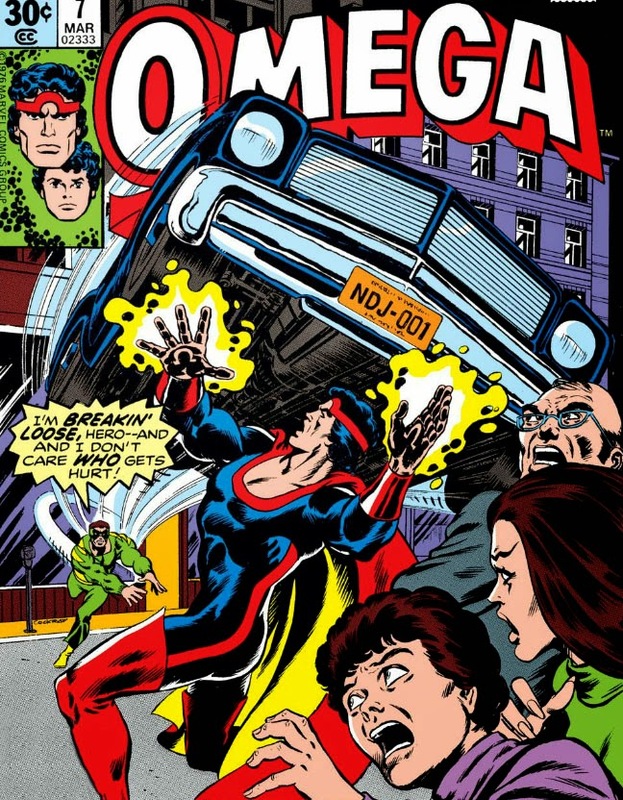 In prior postings, we've already covered a little ground where, in the early 1980s, The Mighty Thor title was in a bit of a rut. Let me rephrase that. The title was in a sinkhole, one that seemed to be expanding every month. We saw the Thunder God fighting the likes of mathematicians, and slum lord mercenaries, and religious fanatics, and vampires, and even bullfighters. 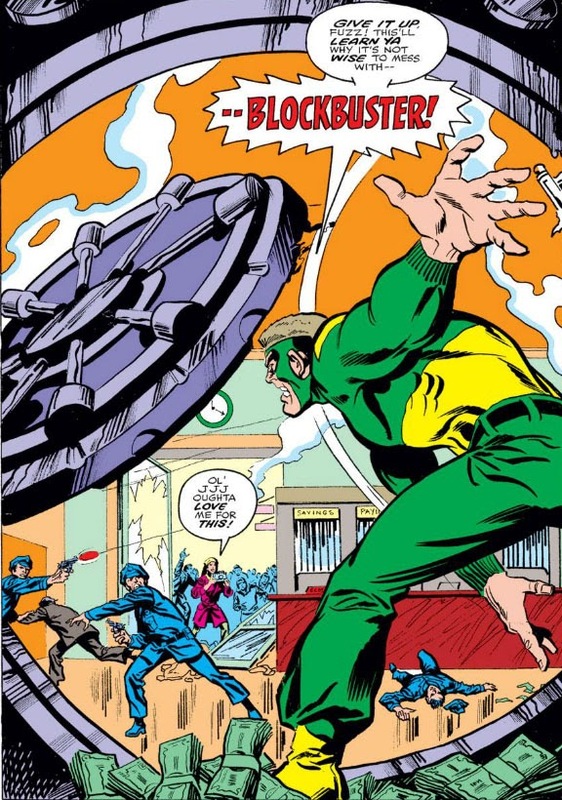 Only we completists probably stayed with the title at this point; after all, this was Thor we were talking about, one of Marvel's flagship characters. Nobody at Marvel was going to just stand around and let Thor get to the point where it had to be cancelled, or so we steadfastly thought. ...why, I'm shocked at the implication. I'm also shameless in confirming it. If I and others had to suffer month after month, pulling these issues off the rack and reading each and every one, feeling like we were in some kind of Asgardian purgatory and wondering who the heck at Marvel had lost their sanity and somehow thought that this was Thor at his best--then, in the interests of fairness, you should experience the same uncomfortable winces that we did. A MUTATED HORROR MOVIE ACTOR. So let's find a few more chins to wallop! Build Your Brute The Marvel Way! Heh, check out that label--"ZXX Serum." Did I mention you don't need to be all that creative in naming your serum? Your hired muscle probably isn't going to give it much thought, either. And before you know it, voilà! You've got yourself a Marvel fight! 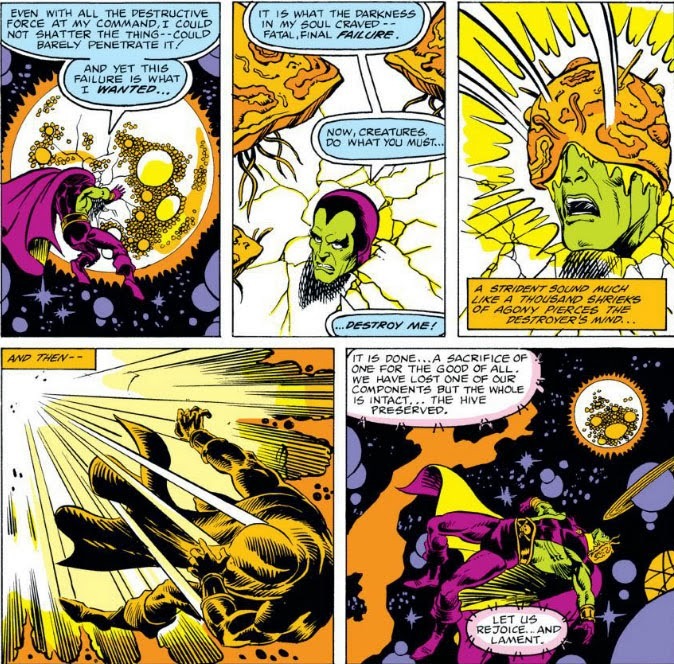 And so Drax joined Moondragon in her travels--first returning the alien to its hive, and then to find mutual purpose and fulfillment in the exploration of both the stars and their new relationship. It's an ending--and a beginning--which normally would have been rewarding to read about for these two beings who had both been products of death and rebirth. 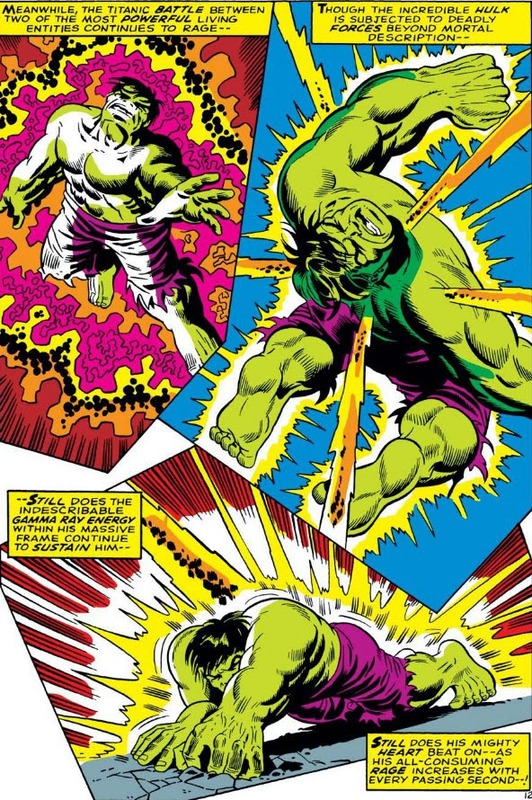 Instead, this tale will lead to much worse for Drax, and an ending more tragic than any he'd planned for himself. Master of the Galaxy! Lord of Floss! A big space energy blob with fangs. Not exactly awe-inspiring, is it. 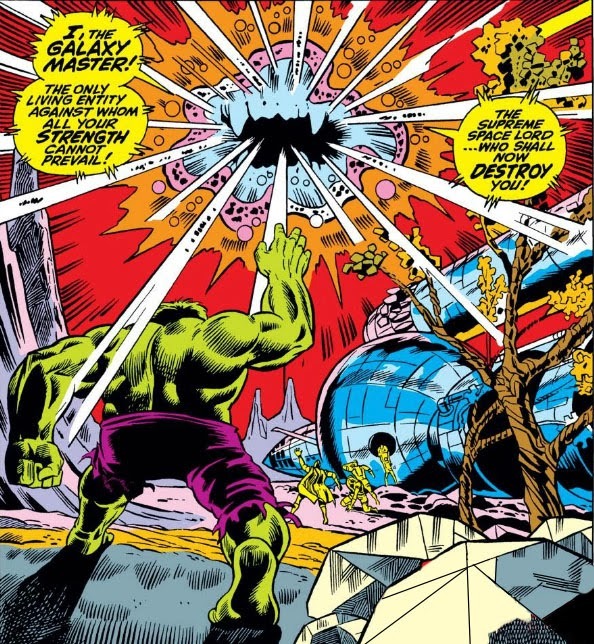 The Hulk, even with his limited grasp of vocabulary, still manages to adequately sum up the appearance of the Galaxy Master: "mouth-monster." 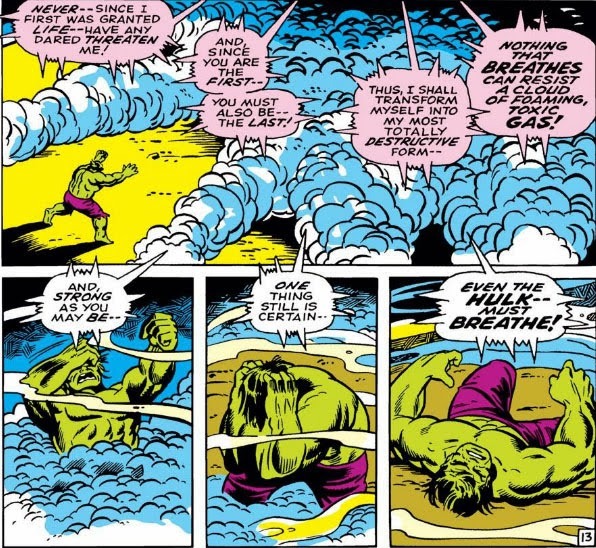 When you find yourself agreeing with the simple assessment of the Hulk, it's probably an indication that your villain needs to be sent back to the drawing board. Nevertheless, you guessed it--the Galaxy Master is once again toast. 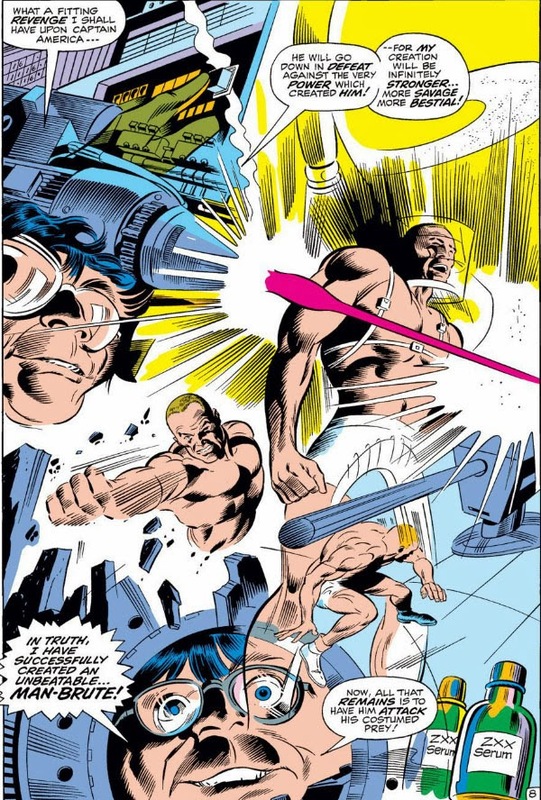 Other than perhaps a sense of nostalgia, which played heavily throughout writer Bill Mantlo's run on Incredible Hulk, I don't know what would make anyone decide to bring back the Galaxy Master a third time. 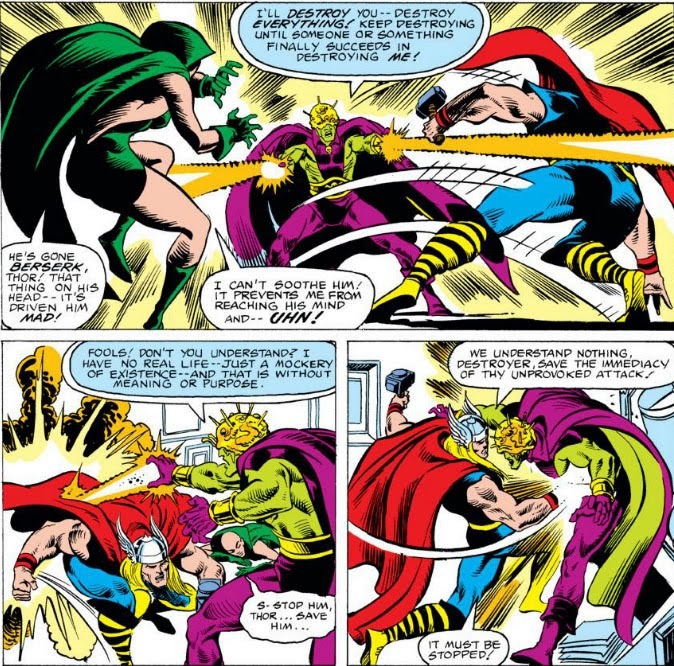 Putting aside for a moment the fact that a threat to the galaxy which has easily beaten armadas can somehow be repeatedly thwarted by the Hulk, two of Marvel's premiere artists (Trimpe and, later, Sal Buscema) have failed to bring to life the kind of fearsome foe that Marvel obviously wants the Galaxy Master to represent. 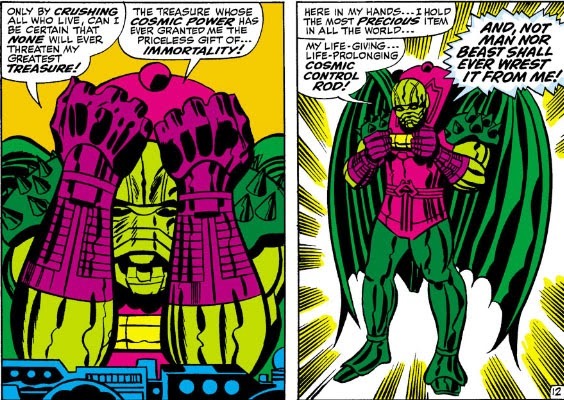 I'm not saying that every villain needs to have appendages, or even physical form--but the only foe I can imagine the Galaxy Master facing would be someone like Ego or Galactus. Or maybe a good dentist. 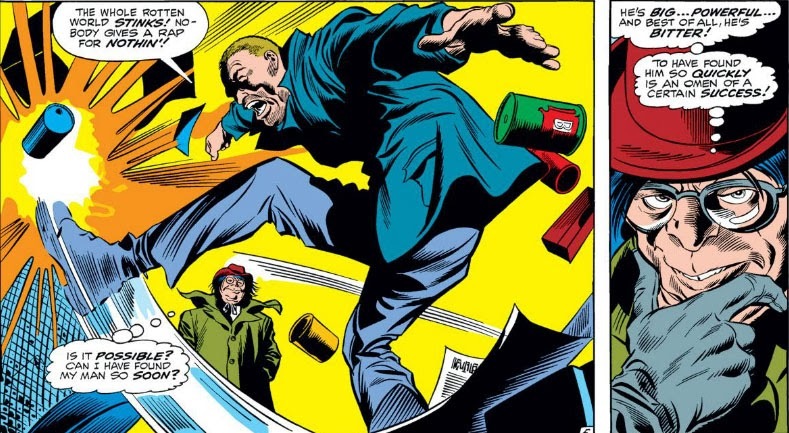 It was always a fine line to walk with Sue, where the FF's creator and scripter, Stan Lee, was concerned. 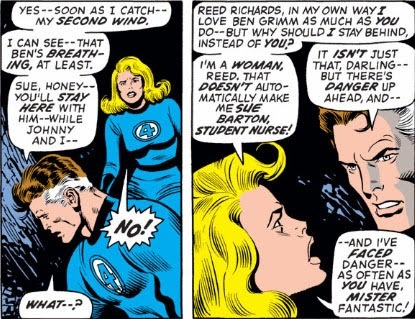 In Lee's eyes, a woman's role in a super-powered equation was a brave one, but primarily as a supporter of the men--which was especially the case if there was a romantic relationship going on. It was one heck of a balancing act. 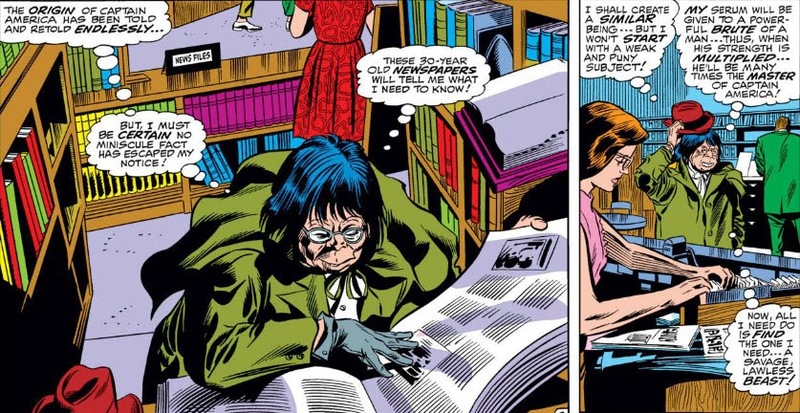 Both Sue and the Wasp had to go into action with their respective teams--but their frailty and uncertainty were always distinctive from the men, and they were almost always seen as vulnerable to danger. So we can see that Thomas was given a lot of ground to work with--not only in terms of raising Sue's profile, but also in using Sue's newfound assertiveness to add drama to Reed's relationship with her. 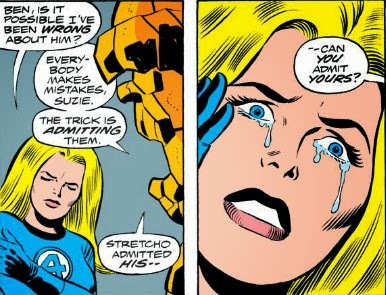 After all, it wouldn't make sense for Reed to just roll over here--he's had this dynamic with Sue for a long time, as both his wife and as a member of his team. To date, those two aspects have pretty much amounted to the same thing. 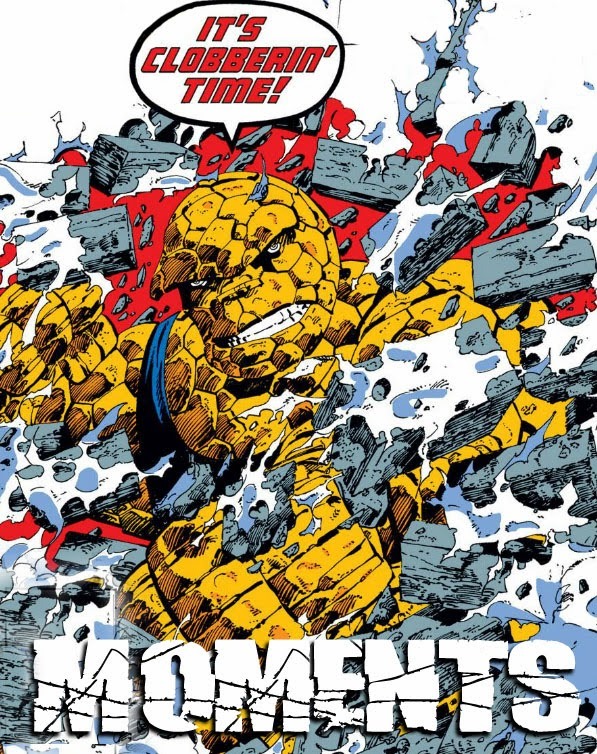 But, in only Thomas's second issue aboard the title, that begins to change. 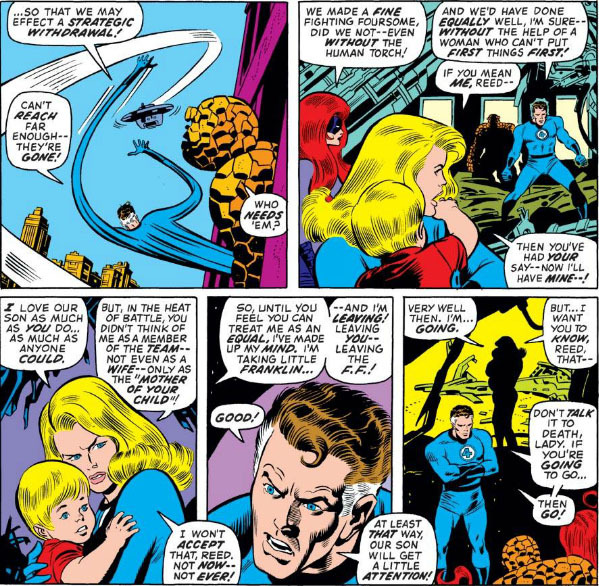 Until, before you know it, Sue walks out the door, with Reed practically pushing her through it. 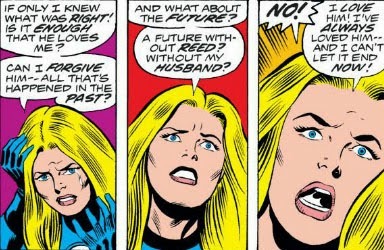 It was a pleasant surprise from Thomas--who could have easily had Reed's reaction be one of shock and ultimately sadness, but instead has him more firmly than ever taking the stance that Sue has her priorities mixed up and that she's dead wrong on this issue. 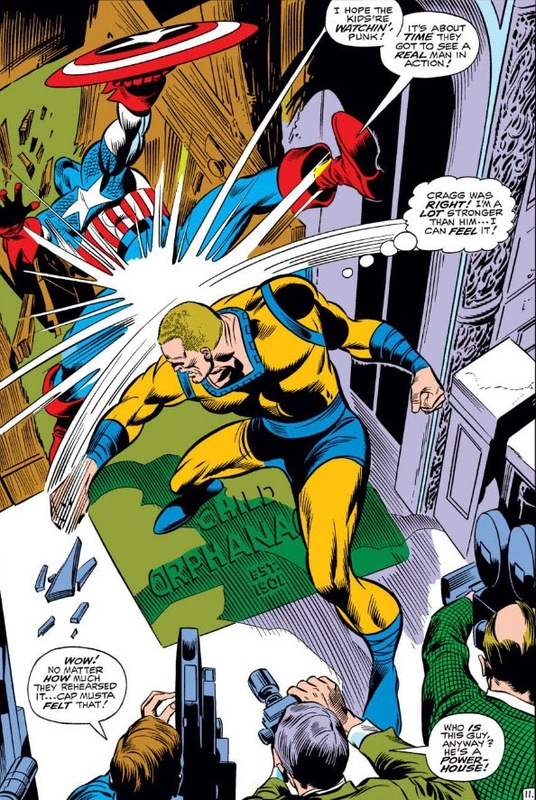 And it all took less than five issues. Um... did anyone catch where Reed said he was sorry? 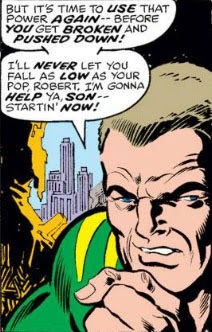 This Is A Job For--The Vision! 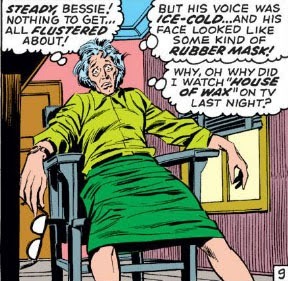 Though it's probably just as surprising to see Cap and Wanda completely forget that their state-of-the-art mansion comes complete with telephones, which could accomplish this mundane task not only more easily, but arguably swifter than even Quicksilver. 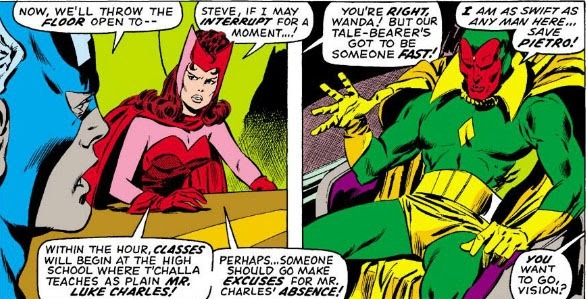 But it seems the Vision is far more qualified than Jarvis to handle relaying a message; yet, how will one of the Avengers explain his role as messenger for "Luke Charles," a high school teacher? 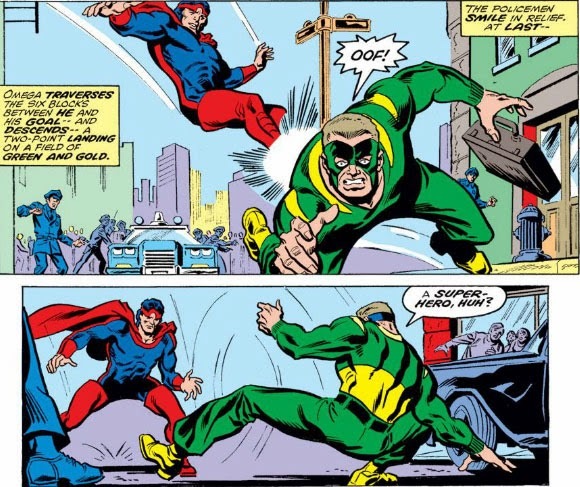 The answer comes with the Vision's first use of his brand-new disguise! Charge Of The Dark Brigade! This One You Dare Not Miss! The Iron and the Archer! 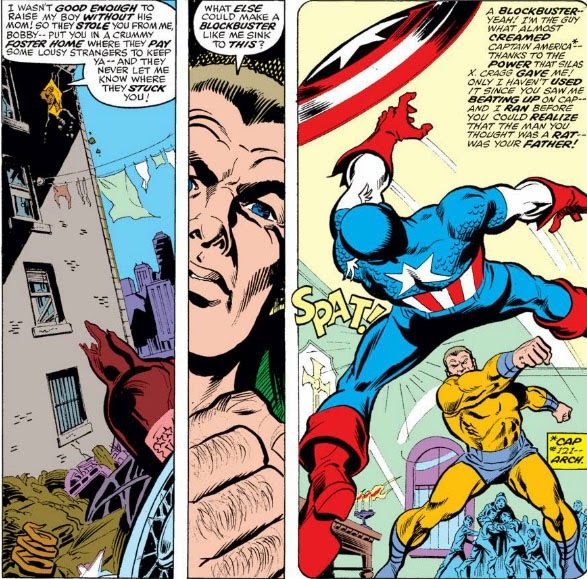 Agent of SHIELD--Art of Steranko!